Domain Name Canada- Domain Name Renewal for .CA and .COM, .NET,. ORG and more. The renewal process is done through a special secure section on our web site. Starting at 90 days before your domain name expires, the administrative contact is sent instructions on the location of the renewal page, including a Renewal ID and a Personal identification number (PIN) to access this site. There you will have the choice of renewing your domain name, canceling it, or renewing it at a later date. For your convenience, our process groups all your domain names which are about to expire within a 3 month timeframe and lets you renew any or all of them at one time. You can choose the length of your renewal from 1 to 10 years. 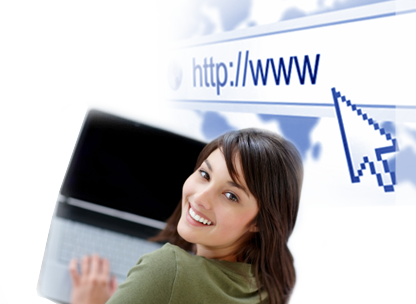 You can also renew your domain name at any time in our domain name control panel. Should you choose not to renew your domain name, it will be cancelled and removed from your account. The name will then be available for anyone else to register. Emails are sent to the administrative contact every 30 days until the domain name is either renewed or canceled. These emails contain the location, and login information for the renewal process as mentioned above. If the domain name is not renewed within 30 days of the expiration date, notices and warning emails are sent to all the contacts for the domain name in question. If there is no response , we will try to telephone the contacts as a last effort to ensure that they received the renewal information. If the domain name is not renewed before the expiration date, all web sites and email addresses using the name will cease to work when it expires. In addition your name will be placed back for public availability, meaning anyone can register and use the domain name. Also for all domain names, with the exception of .ca, if your domain name is i over 30days past the renewal date, it will fall into the redemption grace period. Once in the Redemption period, there will be $350.00 fee to renew your domain before it is released to general availablity.